All aboard "Le Charcot" and we're off for a trip round one of the loveliest bays in the world, the Baie de Somme. Action stations, young'uns and, if you're good, you may get to help the Skipper steer the boat! Trips last 45 min. or 1 hour 15 min. Reduced rates for children. 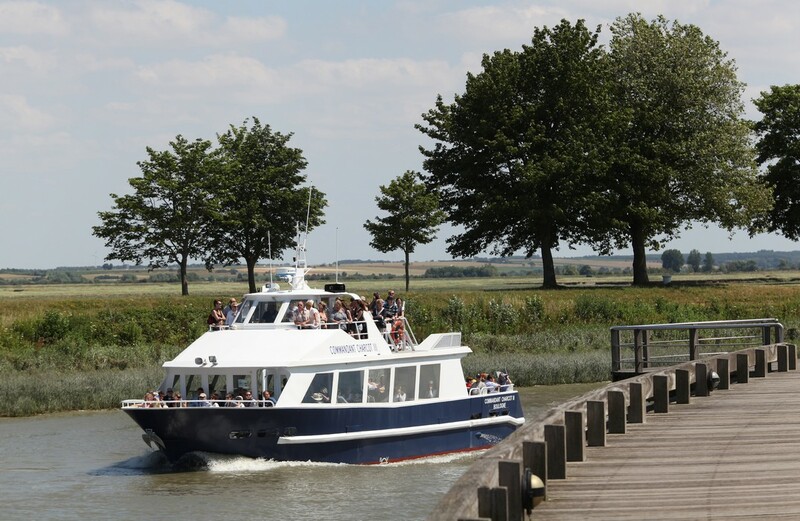 Explore the Baie de Somme onboard Commandant Charcot boats. Depending on the tide, circuits can include St-Valery-sur-Somme, Le Hourdel, St-Valery-sur-Somme , St-Valery-sur-Somme, Cap Hornu and St-Valery-sur-Somme (approx. 40 min), or St-Valery-sur-Somme, Le Crotoy and St-Valery-sur-Somme (approx. 75 min).